True pacifism is not unrealistic submission to an evil power…it is rather a courageous confrontation with evil by the power of love, in the faith that it is better to be the recipient of violence than the inflicter of it, since the latter only multiplies the existence of violence and bitterness in the universe, while the former may develop a sense of shame in the opponent, and thereby bring about a transformation and change of heart. King was pretty clear in his writing and in his actions, but he couldn’t have anticipated the terrorist attacks of September 11. A Martin Luther King with forty additional years of life experiences might have rejected his earlier views and endorsed the war. We can’t know. Seeking a more cuddly consensus–something Martin Luther King was unlikely to have done–we avoided the issue. But whether King himself would have (hypothetically) supported or opposed the war is less important, of course, than the moral and political judgments we have to make as we confront a world that keeps changing. The lives and words of our heroes should help us think through those judgments, not make them for us. If Christian pacifist Martin Luther King can’t tell us what to do in difficult circumstances decades after his death, what about the Founders, who are much in vogue in contemporary movement politics, where Tea Partiers wearing tri-cornered hats like to haul out the Constitution? Finding Martin Luther King’s position on new wars, as difficult as that might be, seems far easier than discerning what the framers of the Constitution would think about Federal health care reform nearly 250 years later. Adams, Franklin, Madison, and the boys didn’t mention health insurance in the Constitution, a topic neglected along with abortion, airports, the internet, nuclear weapons, and women. 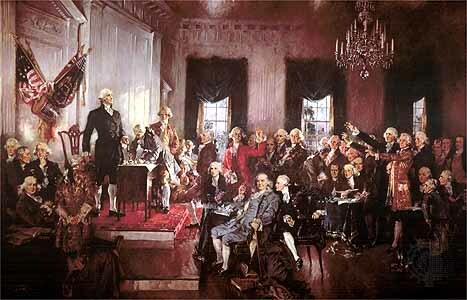 The Constitutional convention was filled with pragmatic politicians, not ideologues. I’m reasonably confident that, were we somehow able to haul them into the present health care debate, they would want to know how medicine worked in contemporary America, whether bleeding was still a preferred treatment, who funded medical care, and how much it cost. Bold experimenters with government, they would certainly also want to know how other countries managed their own health care programs. This entry was posted in Uncategorized and tagged Constitution, Martin Luther King, nonviolence. Bookmark the permalink. Great article. I agree with your analysis of King’s view on peace in the time of war. I look back on my views of the war in 2001 (much influenced by the media, my anger, etc) and I am saddened by my ignorance back then. I didn’t know more about MLK, Jr besides what we learned in school, the “I have a dream” speech. Though he was my hero since childhood, I really didn’t know how deep his dream went. It wasn’t until I was in college studying Sociology, where I was re-introduced to the real MLK, Jr. that I realized how wise he was, and how wrong we all were when we ran into Iraq and Afghanistan out of anger and pain. How I wish we all had learned about the REAL Martin Luther King, Jr. back then. And how I wish we all had the guts to stop to ask each other the deep questions about war and face the question straight on.